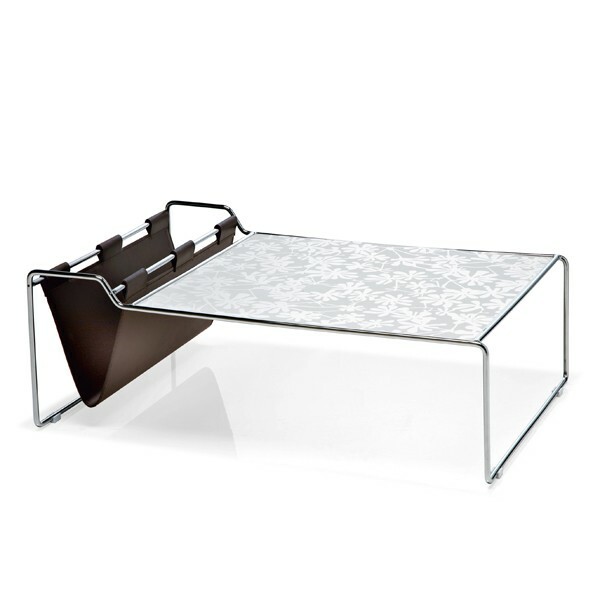 A unique coffee table that brings glamour and character to the modern living room. 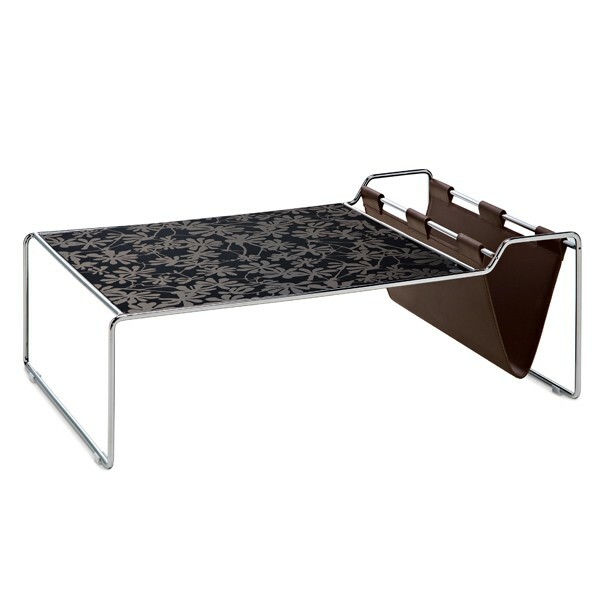 Patterned glass top (black or white) with a dark brown leather magazine holder. The steel tube frame has a chromed finish.